Franks Bicycles has been serving Southern California for over 25 years we are a 3rd Generation Bicycles Family Business. We service all makes and models of bicycles, usually within 24 hours. We also sell trusted, industry-leading brands of bicycles and parts and assessories. Our Dedicated knowledgeable Staff will be glad to help you with any of your questions and bicycles needs. Exchange, Returns, and Refunds Policy Please choose carefully before you buy. 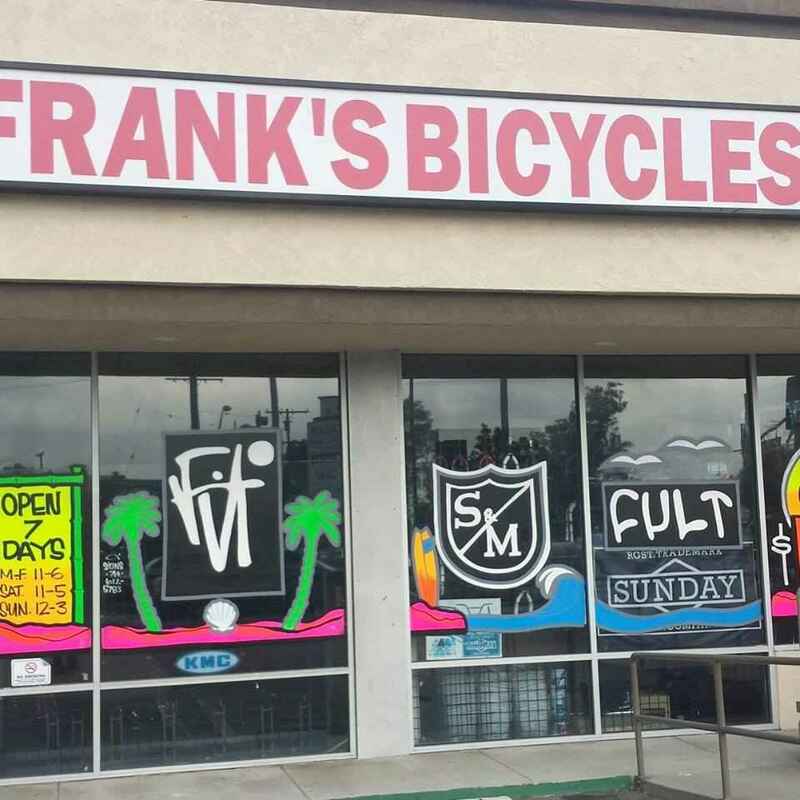 For faulty products, Frank's Bicycles la mirada - Whittier est. 1992 offer a 14 DAY REPLACEMENT WARRANTY, from the date you receive your product. They do not offer a satisfaction guarantee on any of their products, however due to their high level of customer service, they will always endeavour to keep customers happy and satisfied. If your product is faulty, it will be replaced with an identical product. If they cannot replace the product, they will offer you the option of choosing another product of the same value, or provide you with a refund for the total value of the faulty product. Please note: Standard postage fees apply to all return orders. Where the return relates to a faulty item, the replacement product will be sent out to you, at no charge, within 5 working days from the date we receive the faulty product. When returning your product, please make sure you provide the following details: Your full name Your order number Reason why you are returning the product Your instructions informing us how you would like the issue resolved. Please include the original order confirmation or invoice you received with your product. Also, if you haven't previously provided a contact phone number, please include this with your return. This will ensure the issue is resolved quickly, should anyone need to contact you.